Though is still early summer, November elections will be here before you know it! As a political candidate, what are you doing right now to make the most of social media and get voters to support you in the voting booth? 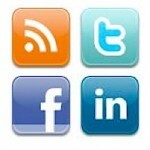 If you are going to do any online social networking, here are the three networks you should definitely use – and why. With over 700 + million users, there’s a good chance some of your voters are on Facebook. Establishing a presence there is simple, and it’s easy to branch out and it connects well with other social networks. Post campaign updates, news, pictures and video to your Page. Create custom tabs for your page, including a custom landing page for non-Facebook users. Post Events and invite others. Use Facebook Plugins add additional page functionality. Add Facebook ‘Like’ Buttons to your web content so others can share and help spread the word on their walls and in their own news feeds. Use Facebook Ads to reach other users by age, location and other demographic information. Who would have thought that online relationships could be developed within a 140-character limit?Twitter is more than just a micro-blogging tool. It is a way to connect and interact with others. Asking questions about issues or news events. Re-tweeting other people’s tweets. Support other pols and have them support you! Using the #hashtag to get involved in conversations. Tweets to promote your campaign are fine, but pure plugs should make up only a tiny fraction of yourTwitter activity. Active engagement will get you more followers and more exposure. With over 100 million professionals in the network, candidates cannot ignore LinkedIn. Create a professional profile to reach out to others and build your credibility. LinkedIn is NOT a place to promote your campaign. That will constitute spam and will turn others off. It is a professional network, and you might want to get a feel for how it works before you jump right in. Attach your resume and describe your professional skills. Upload materials, such as SlideShare presentations and PDFs. Post reviews from others of your work. Highlight what others are saying or doing. LinkedIn Groups provides a place for professionally-minded people with social influence to exchange ideas. Find a few groups on topics that you are passionate about and join the conversation. LinkedIn Answers allows you opportunity to display your expertise to others. Good answers can earn you stars and enhance your overall status. Politicians have already latched onto Twitter and Facebook, but this election cycle, YouTube could be the campaign tool of choice. Google has launched a service on the popular video site that is helping candidates target voters online like never before -- one that could eventually rival cash cow political ads on TV. Using Google's in-stream ads, those brief commercials you see before before YouTube clips, campaigns can now go after potential voters with geo-location technology and content interest-targeting. For example, if Levi Johnston's rumored campaign spends some ad dollars, residents of Wasilla might see the ex-Palin camper pitch his mayoral campaign before viewing YouTube videos. Or, if Levi pollsters see a weakness in, say, public reception of his family values, the campaign could target only Alaskan viewers of YouTube's Parenting category. "In stream ads are probably the hottest thing in political advertising right now," says Andrew Roos, Google's account executive for the election and issue ads team. "This was a product that wasn't available in the 2008 presidential campaign, and now we're seeing dozens of candidates using it in over 15 battleground states." Google has seen adoption rates of online advertising for gubernatorial and senatorial races increase by 800% this election cycle. Mid-term candidates including senate hopefuls Marco Rubio (Fla.) and Dino Rossi (Wash.) are taking advantage of the service by simply re-purposing television ads to run on YouTube--a cheap and effective way of broadening the TV spots' reach. Wisconsin gubernatorial candidate Tom Barrett, for instance, has reached nearly 500,000 potential Badger state-voters using YouTube's service. "The more we can harness these online tools, the more we can communicate with voters," says Phil Walzak, communications director for the Barrett campaign. Bottom line: it has a real impact, Walzak says. "It unlocks a lot of doors." Roos points out that campaigns have traditionally spent a significant amount of time and resources producing television ads. Now, YouTube's service lets candidates re-use those same ads for online audiences. "Our favorite phrase is: Our ads are click-able but not skip-able," says Roos. "A lot of people fast-forward now with DVR on television--on YouTube, you know you have a very engaged audience because you can't skip through the ad." So why is Google getting involved with political campaigns? As Roos relates, Massachusetts senator Scott Brown spent 10% of his ad-dollars online in the special election against Martha Coakley this year. Google's idea, he says, is to go after a similar 10%-in-2010 digital campaign-spending goal. In total, both the Brown and Coakley campaigns spent $23 million during the special election--10% of that would come to $2.3 million. "We've been up front with this," he says. "It's a great business opportunity." Who is going to influence the social media-savvy voter? The lonely candidate with 12 Facebook Fans and 3 Twitter followers, or the more popular candidate with hundreds of followers who is effectively engaging others online? Foot Print makes it easy to quickly grow your supporter email list through a 100% opt-in process. Unlike purchased or rented email lists, these people chose to receive your messages and will support your GOTV and fundraising efforts. The largest and most sophisticated political organizations in the world use this very system to build vast, effective email lists. We can’t tell you who they are, otherwise, we’d certainly brag.